Do you need iPhone Insurance? For such an expensive phone, I think the answer is yes. iPhone Insurance is not really something I thought of, and I’m guessing something that most users don’t think of until it’s too late and you actually need it. After several of my friends accidentally broke, lost, or otherwise rendered their iPhone’s unusable, I got a bit more curious about iPhone specific insurance options. This list is by no means complete but it’s just what I discovered in my research for insuring the device. AT&T Wireless Insurance – this is tacked onto your regular monthly iPhone service bill at the rate of $13.99/month. Your iPhone will be insured directly through AT&T. There’s a $99-$199 deductible though, so keep that in mind, it may be just as expensive to renew your contract with AT&T for that price. Note: You need to call AT&T to verify this! State Farm – the cost for State Farm to cover your iPhone (and Mac, might as well cover them both right?) is pretty cheap but vary from region to region. According to CNET, the yearly cost of their plan that covered their Mac and iPhone was $35. That figure should serve as a baseline, and not a rule. The deductible for the plan varies based on what your premium is. Note: commenters point out that some State Farm agencies will not cover the iPhone, this seems to be on a state by state basis, you’ll have to call your agent to know for sure. Other iPhone Insurance Providers – there’s a slew of insurance providers out there but whether or not they will cover your iPhone is another story. Your best bet is to call your local insurance company and ask them questions specifically about iPhone coverage. I contacted my Home Owners provider and they said my iPhone and Mac are already covered by my existing policy, but, there’s a $500 deductible per incident! The high deductible obviously makes relying on this insurance pointless for just the iPhone, but they did offer to have a lower overall deductible for a considerable amount more per year – not even close to worth it in my case, I’d have to lose 3 iPhones a year just to break even. Readers Suggestions – I have no experience with SquareTrade but apparently they offer iPhone Insurance too, please do your own due diligence to determine if the iPhone plans they offer are right for you. Additionally, Best Buy offers iPhone Insurance through their Geek Squad service (thanks reader Mike!) but apparently they are expensive. The bottom line is if you’re trying to insure your iPhone the best bet is to just call around and see who has the best rate, just be sure to check on deductibles and limitations. You don’t want to buy an insurance plan for your iPhone only to find out it’s not covering accidental damage or has a large deductible. Hopefully none of us will actually need (or wished we had) insurance for our iPhones, but should the case arise, it’s good to be prepared right? Actually, AT&T’s insurance specifically DOESN’T cover the iPhone. If you look at the devices covered list, its not mentioned. Best-buy offers their Geek Squad insurance for a rather hefty fee for the iPhone, and features the same level of coverage. Sounds like the best bet though is to talk w/ my State Farm agent and add the personal items coverage to my home owners and car insurance I already have with them. State Farm doesn’t have a deductible for this? Hard to believe. Safeware has iPhone insurance with great coverage! http://www.safeware.com . Mike is correct, AT&T does not cover iPhones. I spoke with my State Farm agent and they DO NOT cover the iPhone. Affordable iPhone 3g and 3gs insurance available from the iRepair Team. iRepair Team LLC offers insurance plans that are superior iin price and benefits than any other insurance or warranty plans out there. I am the President and CEO of iRepair Team LLC. We have been in business for almost 2 years now and service customers all across the nation. We do not require that the iPhone be mailed in to us. We offer two plans. One covering water damage and the entire phone for failure. This plan covers everything but theft and loss. The other plan covers glass and lcd breakage as well as battery failure for 1 year for only $35 for the 3g and $45 for the 3gs. Only a $10 deductible is required for the 3g and $20 for the 3gs. 5 claims made me made per year. There is simply no comparison to our insurance plans. Most other companies only replace the iPhone if broken. We actually fix the iPhone in house with certified technicians. Our deductibles are only $10 or $20. We offer monthly payment plans as well. See iRepairTeam.com for more information or call 888-269-5658 for more information. I think the best option of all is SquareTrade. They give 2 years of coverage, not just 1. They cover accidents and normal warranty issues. The thing about insurance is that it does not cover warranty issues, like electrical or battery failures. Honestly, I think that is more important than theft coverage, especially if you are the least bit careful. I need to chime in on this one because I think you are all overpaying for your iPhone insurance. 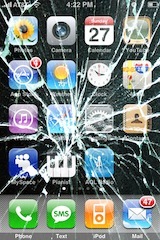 I have had Insure Apple iPhone ( http://www.InsureAppleiPhone.com ) for over a year. I pay $5.99 per month and am covered against EVERYTHING including lost and theft. They DO cover warranty issues and insure new and USED iPhones. Check them out, they definitely offer more than everyone else for way less. I also use insure apple iphone and love them! the price is good and the service too. i also recommend them for insuring your iphone. Here’s some great information about iPhone insurance carriers: http://www.stolenlostfound.net/stolen-iphone-insurance.php, you can also internationally report your stolen or lost iPhone on it which appears on the search engines within a day. I had Apple iphone insurance when my phone was stolen from my car six months ago. The claim went as smooth as silk and I got a payout within 3 weeks. I was not impressed by the premium, I thought it was a bit high but a low cost one is no good if claiming is a pain and these guysy certainly gave me a good service. « iTunes 9 brings sleek and refined GUI – sign of things to come for Mac OS X?